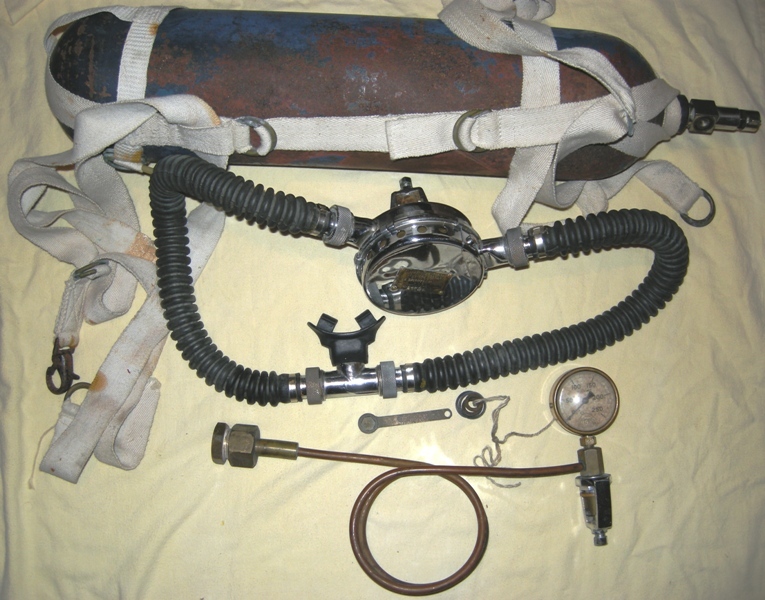 Mass production of Aqua-Lung double hose regulators started in 1946 with La Spirotechnique, a branch of the Air Liquide company. Their first model the CG-45 was named after Cousteau and Gagnan and the number 45 was the year it obtained the patent. The Aqua-lung was the model name for english speaking countries but in Britain, Aqua-lung became the name commonly used for any underwater breathing apparatus. Seen in early BSAC manuals of the 50s, diving being described as “aqualunging”. The model sold for about 10 years before they commercialized the Mistral.